BLACK BEAR – The ultimate predator hunting target. 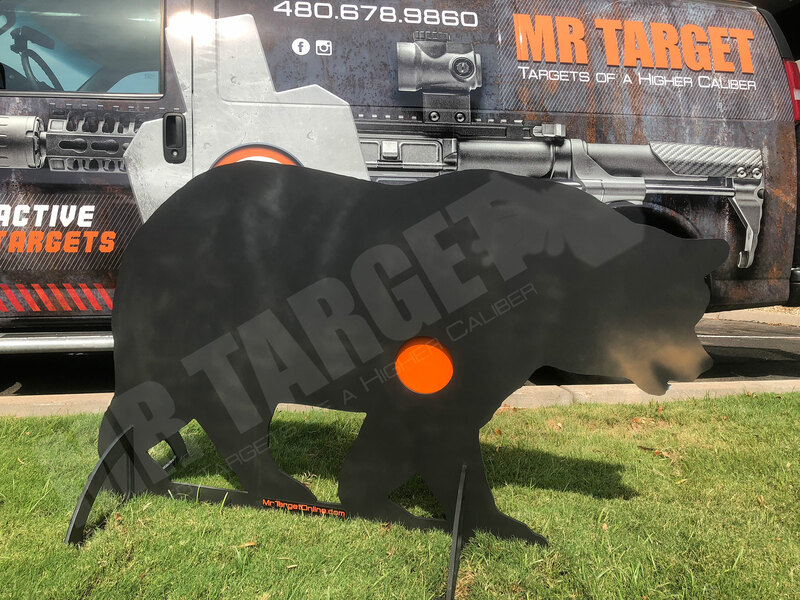 Our life size black bear has a reactive vitals shot and is made from 3/8” thick AR500 that is capable of handling rifle rounds up to 3,200 fps. 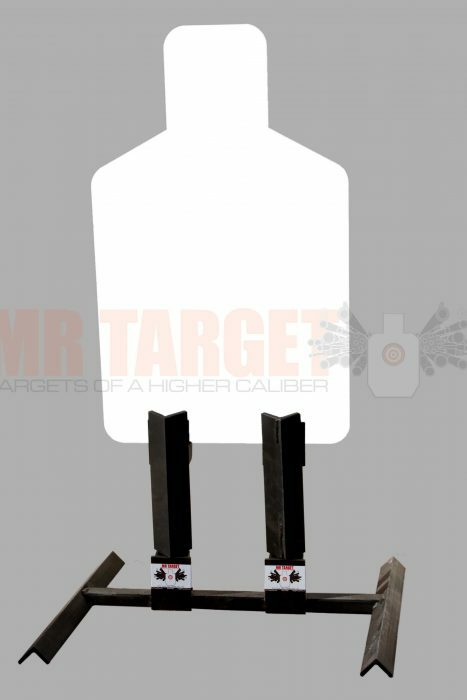 This self resetting target comes complete with an integral base system. 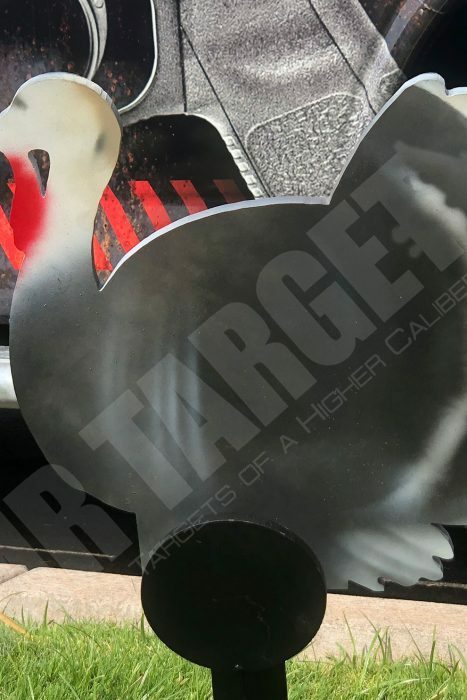 Two legs slide into the base of the target to support its massive weight and you can shoot for days! SHIPPING DETAILS: This fella was fed well… and is very heavy. He weighs just under 200lbs and requires freight delivery on a pallet. 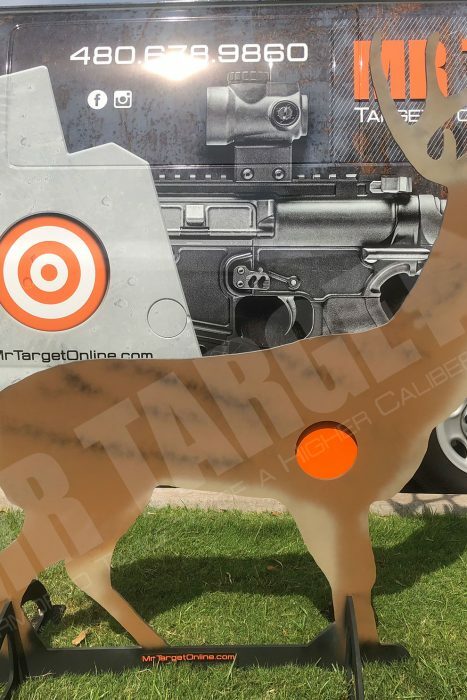 Please CALL US to arrange for shipping if your order contains one of these massive targets! 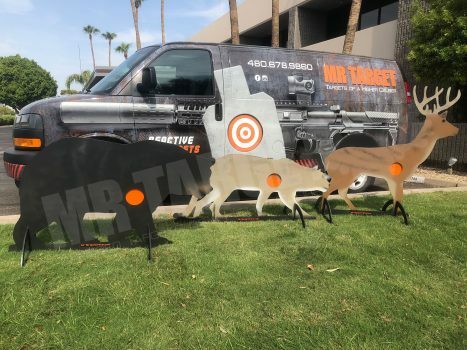 – We are happy to ship to your favorite local gun shop… so have their contact info ready! SHIPPING DETAILS: This fella was fed well… and is very heavy. He weighs approximately 200lbs and requires freight delivery on a pallet. 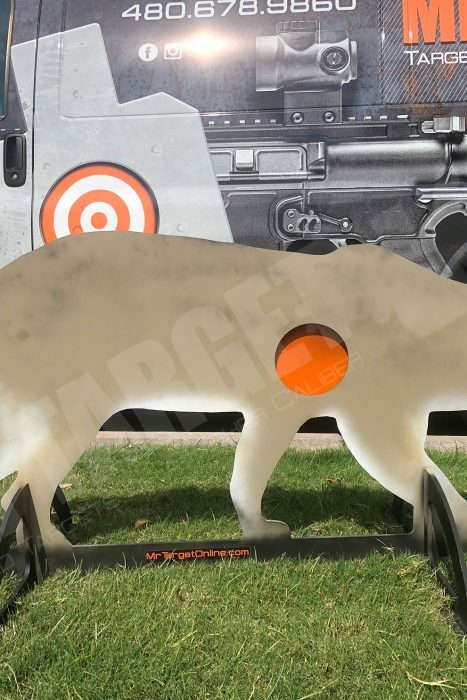 Please CALL US to arrange for shipping if your order contains one of these massive targets! Pre-order yours today so you can have the pick of the litter.